Make a wish to the stars. The only night-operating cable car in the Tohoku region! The Shizukuishi area, which spreads out at the foot of Mt. Takakura where facing across from Mt. Iwate, is a superb spot for sky watching. At the top of the cable car, the clear air enveloping the whole mountain and the scarcity of lights at its foot create the perfect conditions to watch the stars in the night sky. Come visit and enjoy a truly precious experience in a wondrous space woven together by nature. 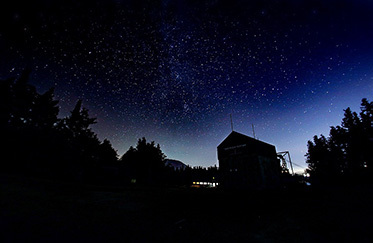 At 730m above sea level, look up from the summit cable car station to see the whole sky glittering with stars. It takes only ten minutes to get there by Shizukuishi Ropeway. What spreads out before you is a stunning panorama from another world, a starry sky that feels close enough to touch. The fairy tale author Kenji Miyazawa, who was born in Iwate prefecture's Hanamaki city, was also drawn in by the beauty of Shizukushi's night sky, and it is said that it had a huge influence on the creation of his most famous work. It remains a superb opportunity to gaze at the starry sky, just as it was in the past. From the cable car, you can also enjoy night views of Shizukuishi and Morioka. Up: (1) 8:00P.M. (2) 8:30P.M. Down: (2) 8:40P.M. (2) 9:10P.M. *You will be stargazing at an altitude of 730m. Preparing warm outfit is highly recommended. A commentary on the night sky by a stargazing guide. 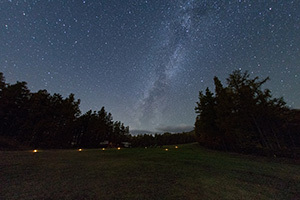 Roll over and lie down at the top of the ski slope, and enjoy watching the night sky with commentary from a guide. It is a 15 -minute drive from Prince Hotel.. You can enjoy many attractions and activities. A formal restaurant with seating for 90, where the chef serves Western full-course meals using the finest selected ingredients. Enjoy a leisurely meal in relaxed surroundings, a perfect way to luxuriate in the resort experience. 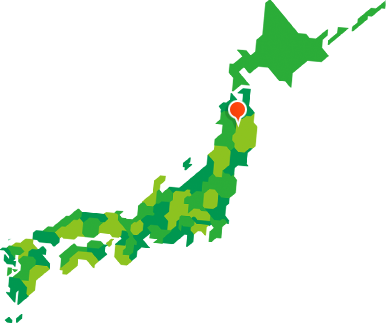 On clear days, you can enjoy a magnificent view of Mt. Iwate from this large restaurant with seating for 250. Enjoy the buffet-style breakfasts and dinners that are such a special part of a hotel stay. 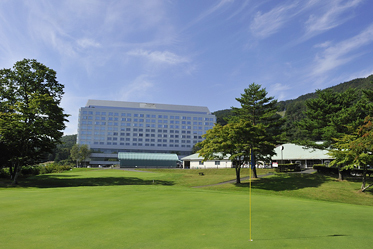 Shizukuishi Prince Hotel offers spacious and comfortable rooms, delicious dining and wonderful facilities like Takakura Hot Springs. A fantastic place to rest up after an exciting day. Guests have a choice of two twin rooms. Type A is suitable for two guests or Type B features a sofa bed and can accommodate up to three guests. Takakura Onsen has a source flowing into, which is certified as a Hot Spring Heritage site. We are proud to be able to offer this outdoor hot spring bath in Shizukuishi Prince Hotel. Here you can soak away your weariness after a long day. 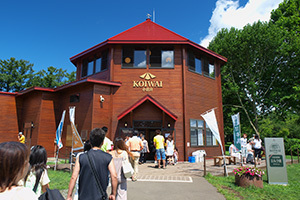 There are a number of other natural hot springs in the Shizukuishi area with easy access via charter taxi.